Calendar of past shows. Thanks to all of you that attended one or many of these. We haven’t posted shows prior to January 2012, but will when time allows. Time: 7:00pm. Address: 131 Harbour View Road. Time: 7:30pm. Admission: $25. Songwriters Circle in St. Peter’s Bay @ St. Peter’s Bay Complex! This songwriters’ circle features four accomplished Canadian songwriters, sharing stories behind their own songs. Including Tim Chaisson, Catherine MacLellan, Stephen Fearing, and Sherman Downey! Time: 8:00pm. Address: 18 Queen Street. May Run Music Fest Closing Concert presented by The Cavendish Beach Music Festival! 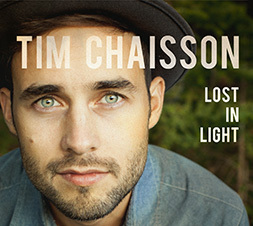 Tim Chaisson live with Ten Strings and a goat Skin, Vishten, and Gordie MacKeeman! Time: 8:00pm. Address: 370 Water Street. May Run Music Fest – Canadian Song Conference Songwriters Circle with Dylan Menzie, KASKA, & Brianna Gosse! Time: 8:00pm. Address: 140 Weymouth Street. May Run Music Fest – Canadian Song Conference Songwriters Circle with Dylan Menzie, KASKA, & Brianna Gosse! Time: 7:00pm. Admission: $10.00 Advance / $15.00 Door. Age restrictions: All Ages/Licensed. Address: 1631 11TH AVENUE. Venue phone: 306-757-9928. With special guest, Jessica Mitchell! Time: 7:15pm. Admission: $10. Age restrictions: All Ages. Box office: (204) 783-6918. Address: 586 Ellice Avenue. Doors 7:15PM Show 8:00PM With special guest, Jessica Mitchell! Time: 7:00pm. Age restrictions: All Ages/Licensed. Address: 1385 Woodroffe Avenue. With special guest, Jessica Mitchell! Time: 7:30pm. Admission: $10.00 Advance / $15.00 Door. Age restrictions: No Minors. Address: 35 University Avenue E. Venue phone: 226-240-7020. With special guest, Jessica Mitchell! Time: 12:00pm. Age restrictions: All Ages. Address: 490 5th Avenue SW. Salmon Arm Roots and Blues Festival Set Time: TBA Other artists include: Current Swell, Elephant Revival, Monica Heldal, & many more! Weekend passes & day passes available! Time: 8:00pm. Admission: $10 adv / $12 doors. Age restrictions: No Minors. Address: 356 Avenue du Mont Royal East. Venue phone: (514) 845-3855. Time: 9:00pm. Admission: $20. Age restrictions: All Ages. Box office: (902) 629-2739. Address: 96 Kensington Road. Venue phone: (902) 629-2739. Time: 7:00pm. Address: 220 Brunswick St.
Time: 7:00pm. Address: 1 Munster St. Please see festival website for ticket pricing. Time: 7:00pm. Admission: $10.00. Age restrictions: No Minors. Address: 294 Marrickville Rd..
Time: 7:00pm. Address: 55 Liverpool St.
Time: 7:00pm. Admission: $15.00-$18.00. Address: 859 High St.
Time: 7:00pm. Address: PO Box 148. Please see festival website for ticket pricing. Time: 7:00pm. Address: Kangarilla Rd. Please see festival website for ticket pricing. Time: 7:00pm. Address: 115a Cronulla Street. Time: 7:00pm. Address: 77 Oxford Street. Time: 7:00pm. Admission: $30.00. Age restrictions: All Ages. Address: 3 Bay Village Road. Time: 7:00pm. Age restrictions: All Ages. Address: Dyfodwg Street, Treorchy. Time: 7:00pm. Age restrictions: All Ages. Address: 59 Uplands Crescent, Swansea. Time: 8:00pm. Age restrictions: All Ages. Address: 275 Fitzroy Street. Venue phone: (902) 432-1234. Time: 7:00pm. Age restrictions: All Ages. Address: Tudhope Park (500 Atherley Road). Time: 3:00pm. Age restrictions: All Ages. Address: 500 Water Street. Time: 7:00pm. Admission: $29.95 + HST. Age restrictions: All Ages. Address: 2 Bay Street. Venue phone: 877-746-4466. Time: 8:00pm. Admission: $10. Age restrictions: No Minors. Address: 627 Prince Street. Time: 8:15pm. Admission: FREE. Age restrictions: No Minors. Address: 145 Richmond Street. Time: 12:45pm. Admission: FREE. Age restrictions: All Ages. Time: 5:30pm. Admission: FREE. Age restrictions: All Ages. Address: 118 South Person Street. Time: 8:00pm. Admission: $20. Address: 50 Wood Islands HIll. Time: 9:00pm. Admission: $5. Age restrictions: No Minors. Address: St FX University. Time: 8:30pm. Admission: $15. Age restrictions: No Minors. Box office: (819) 459-3228. Address: 753 Riverside Drive. Venue phone: (819) 459-3228. Time: 8:00pm. Admission: $20. Age restrictions: All Ages. Address: 36 Treasure Drive. Venue phone: 1-800-565-5075. Time: 8:00pm. Admission: $10.00. Age restrictions: No Minors. Address: 515 Prince St. Venue phone: 902-843-4320. Time: 8:00pm. Admission: $5 adv, $10 doors. Age restrictions: No Minors. Address: 25 James Street. Venue phone: (902) 863-1957. Time: 9:00pm. Address: 9797 Jasper Avenue Northwest. Age restrictions: All Ages. Free show! Age restrictions: All Ages. Colin James headlines a lineup that includes La Bottine Souriante, Tim Chaisson and Monique Poirier for the Whoa Canada! Canada Day festivities in downtown Moncton! Time: 8:00pm. Age restrictions: All Ages. Call 902 964 2255 for tickets! Time: 11:00pm. Age restrictions: No Minors. Address: 43 Gore Street East. Time: 9:00pm. Age restrictions: No Minors. Address: 189 Hunter St W. Venue phone: (705) 750-1710. Time: 8:00pm. Age restrictions: No Minors. Address: Corner of Argyle and Prince Street Halifax. OzFest kicks off East Coast Music Week. Outstanding talent form Canda and Australia. Time: 12:00am. Age restrictions: No Minors. Time: 3:30pm. Age restrictions: No Minors. Time: 1:30am. Age restrictions: No Minors. Time: 10:30pm. Age restrictions: No Minors. Time: 7:30pm. Age restrictions: All Ages/Licensed. Time: 7:30pm. Age restrictions: No Minors. Box office: (902) 964-2255. Share an evening of acoustic music with a touch of traditional tunes. Time: 6:30pm. Age restrictions: No Minors. Address: 154 Ludlow Street. Venue phone: 212-533-7237. Time: 10:00pm. Age restrictions: No Minors. Join me at the Canadian Showcase with good friends of mine Visten, Dave Gunning and Andy Brown. Time: 10:00pm. Age restrictions: No Minors. Come join Tim warm up for the holidays at The Brass Monkey Sharing the night with King Tide. Time: 8:00pm. Admission: $39.50. Address: 231 Queens Quay West. with The Trews Tickets on sale Friday (Sept. 21) @ 10am. Time: 8:00pm. Admission: $10 / $24.00 / $34.00. Address: 330 Baker Street. Time: 8:00pm. Admission: $10 / $24.00 / $34.00. Address: 353 Bernard Avenue. Time: 8:00pm. Admission: TBC / $28.50 / $43.50. Address: 955 Oliver Road. Time: 8:00pm. Admission: $5 adv / $7 doors / $18.50 / $23.50. Address: 189 Hunter St W. Venue phone: (705) 750-1710. Time: 8:00pm. Admission: $8 adv / $10 doors / $23.50 / $33.50. Address: 370 Queen Street West. Venue phone: 416-598-4753. Time: 8:00pm. Admission: $5 / $18.50 / $31.50. Address: 3140 Sandwich St.
Time: 6:30pm. Admission: TBC. Address: 961 Marginal Road. Time: 8:00pm. Admission: $8 adv/$10 door / $22.50 / $31.00. Address: 4481 rue St-Denis. Venue phone: (514) 499-0467. Time: 8:30pm. Admission: $10 / $23.50 / $33.50. Address: 506 Princess St.. Venue phone: (613) 531-0003. Time: 7:00pm. Admission: $10 adv / $15 door / $25.50 / $37.00. Address: 155 Riverside Parkway. Venue phone: (902) 752.4800. Time: 9:00pm. Admission: $10 / $21.50 / $29.50. Address: 1661 Argyle Street. Venue phone: (902) 423-7200. Time: 9:00pm. Admission: $8 / $21.50 / $29.50. Address: 375 King St..
Time: 9:00pm. Admission: $8 / $22.50 /$31.50. Age restrictions: No Minors. Address: 550 University Ave.
Time: 4:20pm. Admission: Free. Age restrictions: No Minors. Address: 158 Ludlow St.
Time: 7:00pm. Admission: $46. Address: 995, place D’Youville. Time: 9:00pm. Admission: $12. Age restrictions: No Minors. Time: 3:00pm. Admission: Free. Age restrictions: All Ages. Address: 100 Queen St West. Time: 8:00pm. Admission: $19.50 ADV / $25 DOORS. Age restrictions: No Minors. Address: 1301 – 16 Ave NW. Venue phone: 403.210.4378. Time: 8:00pm. Admission: $20 ADV / $26 DOOR. Age restrictions: No Minors. Address: 9030 118th Avenue. Venue phone: (780) 477-2149. Address: Corner of Argyle and Prince Street Halifax.